Shannon hustled to her car and dug into her black purse, searching for her car keys, “Where the heck did they go?” He quickly put his hand over her mouth as she screamed and thrashed, slid the van door open, and dragged her inside… She tried to scream through the duct tape pasted over her mouth. It was only the beginning. The ruggedly handsome Mac McRyan, a fourth-generation cop, is faced with a complicated brazen daytime kidnapping, a media storm surrounding the case, and political scrutiny. 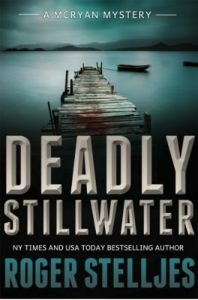 An abduction is just the beginning in a case of betrayal and revenge that will ultimately strike at the heart and soul of the St. Paul Police Department. 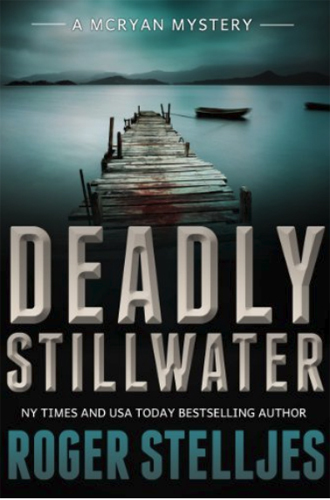 From the searing streets of St. Paul to the murky waters and beaches of the St. Croix River, DEADLY STILLWATER is a book you won’t be able to put down until its last gripping minute.